Turkish First Lady Emine Erdogan and Foreign Minister Mevlut Cavusoglu arrived in Bangladesh on Thursday to meet members of Rohingya Muslim community who have fled from ongoing violence in Myanmar’s Rakhine. 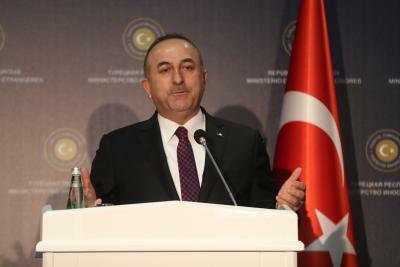 Erdogan and Cavusoglu, who arrived separately, are set to visit refugee camps in Cox’s Bazaar district, close to the border with Myanmar, Efe news quoted the Foreign Ministry as saying. Bangladeshi Foreign Minister A.H. Mahmood Ali and State Minister of Foreign Affairs Shahriar Alam will accompany the Turkish delegation. Thousands of the Rohingyas have been reaching Bangladesh by sea, river and land routes, to escape an aggressive army offensive in the Rakhine state, following an insurgent attack on security posts on August 25. At least 146,000 Rohingyas have crossed into Bangladesh in the last 13 days, according to latest UN figures. Over 400 people were killed in the violence in Myanmar. Between 300,000 and 500,000 Rohingyas live in Bangladesh, out of whom only about 32,000 enjoy refugee status.